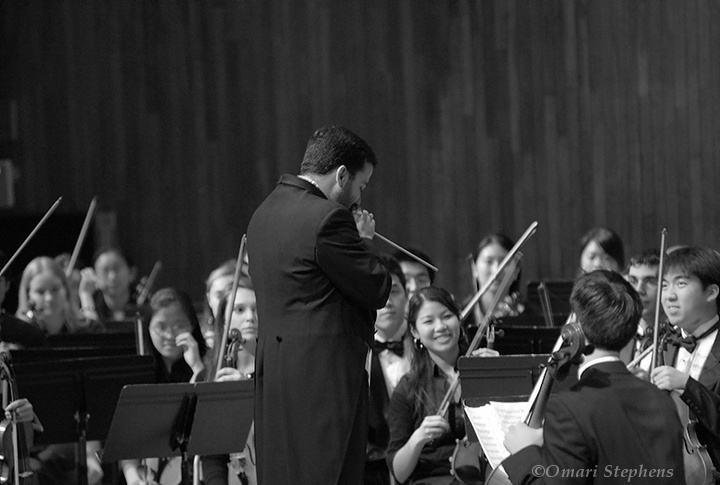 While at MIT, I regularly covered concerts by the MIT Symphony Orchestra. During my time on that beat, from the beginning of 2005 to the end of 2007, MITSO went through a lot of transition. Long-time conductor Dante Anzolini departed at the end of the '04/'05 season, Paul Biss stepped in as interim conductor for the '06/'07 season, and Adam K. Boyles became the new Orchestra conductor in Fall of 2007. I originally shot just for The Tech, but eventually I ended up shooting some concerts for the MIT Concerts Office as well. 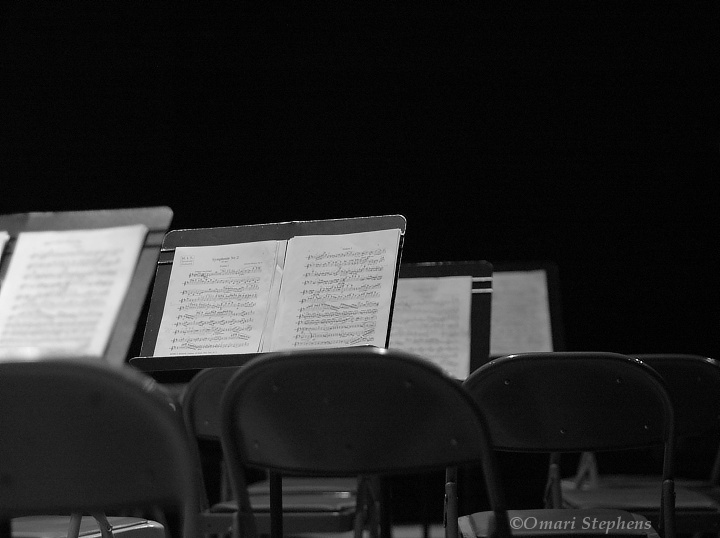 For instance, a couple of the photos on the MIT Music Program's website are ones I shot. Over the past couple weeks, I've been working toward building a portfolio from my photos of the MIT Symphony Orchestra, an effort which I recently finished. Each photo has a caption, although I would suggest looking through the images first, and then going back to read the captions. But without further ado, this is "Musicians in Tuxes"
Sheet Music for Johannes Brahms' "Symphony No.2 in D Major, Op. 73" graces the music stands during the intermission of the MIT Symphony Orchestra's March, 2005 performance. 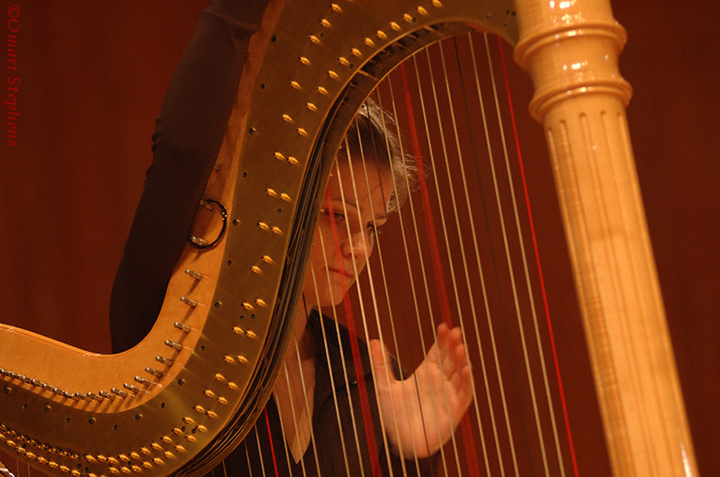 Tomina Parvanova tunes her harp during intermission at the MIT Symphony Orchestra performance in October, 2007. Directed by MITSO's new conductor, Adam K. Boyles, the concert featured pieces from Kevin Puts, Johann Sebastian Bach, Edward Elgar, and Sergei Rachmaninoff. 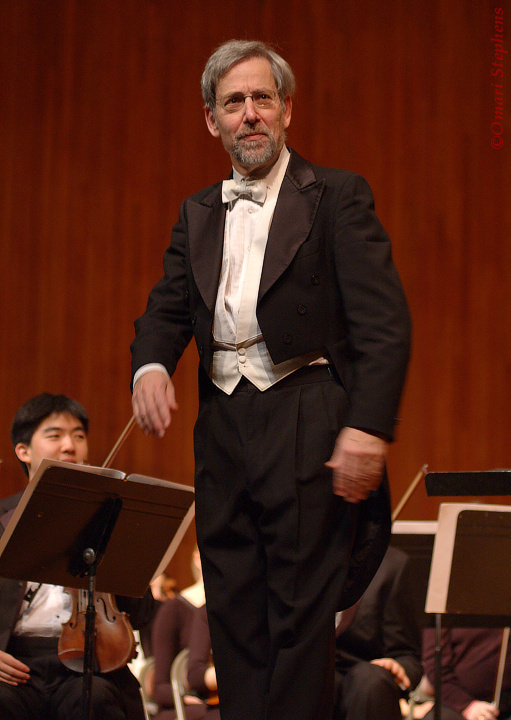 Paul M. Biss, interim conductor for the MIT Symphony Orchestra, salutes the audience just prior to conducting MITSO's December, 2006 concert. Mehmet Aydin (left) and Noel S. Lee (right) play the viola during the MIT Symphony Orchestra's performance of Mahler's "Symphony No. 6." 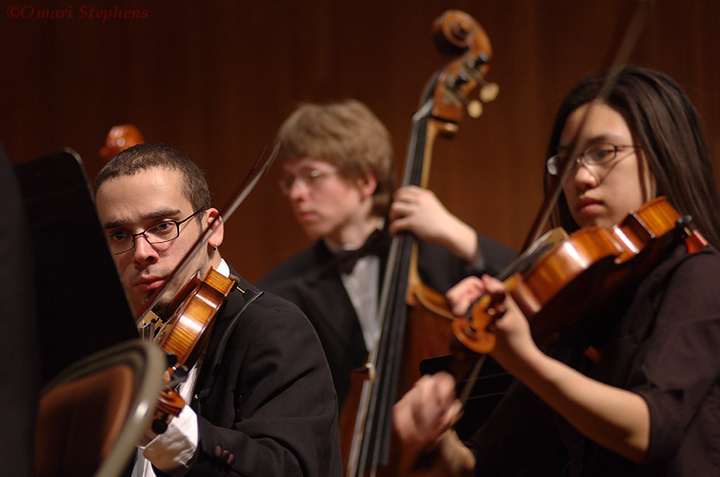 MITSO performed this concert in May of 2005 as part of a series of events to celebrate the inauguration of MIT President Susan Hockfield. 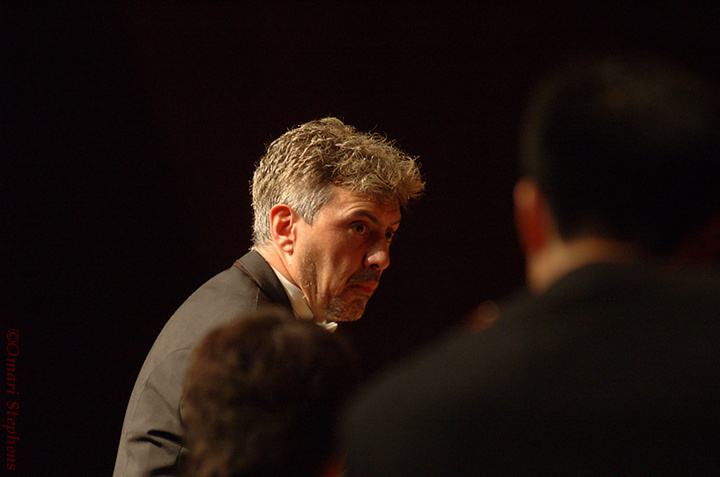 Former MIT Symphony Orchestra conductor Dante Anzolini flashes a look during MITSO's March, 2005 concert. 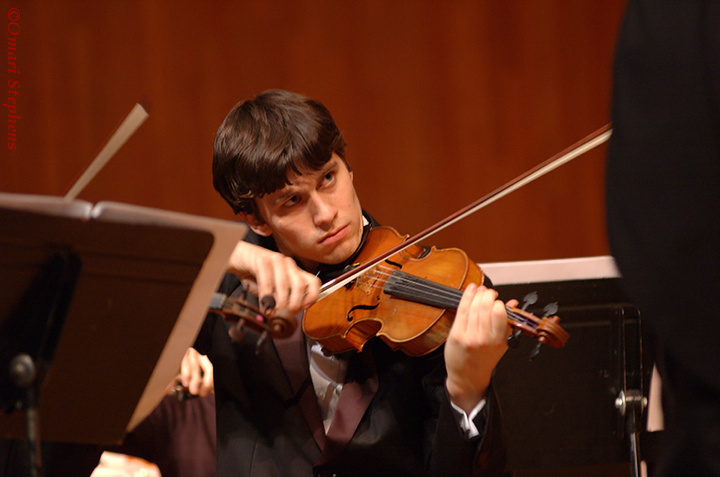 Andrew P. McPherson plays the viola during an MIT Symphony Orchestra performance in May, 2005. The concert was one of many festivities to celebrate the inauguration of MIT President Susan Hockfield. 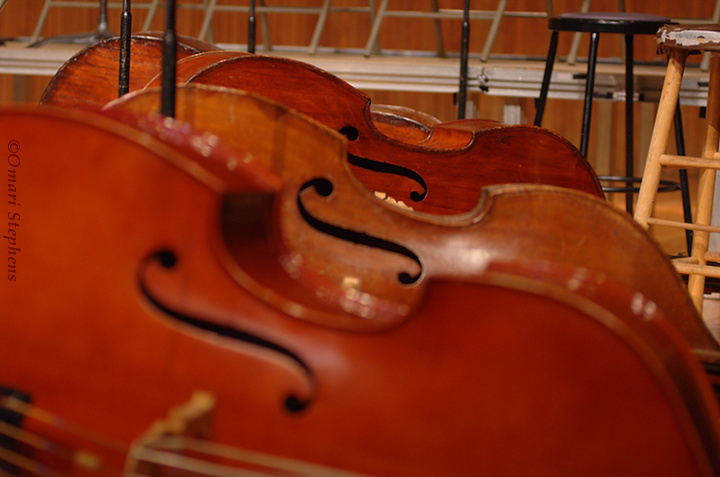 Double basses lie in a line during the intermission of the MIT Symphony Orchestra's December, 2006 concert. The concert featured works by Russian composers Modest Mussorgsky, Dmitri Shostakovich, and Pyotr Tchaikovsky. 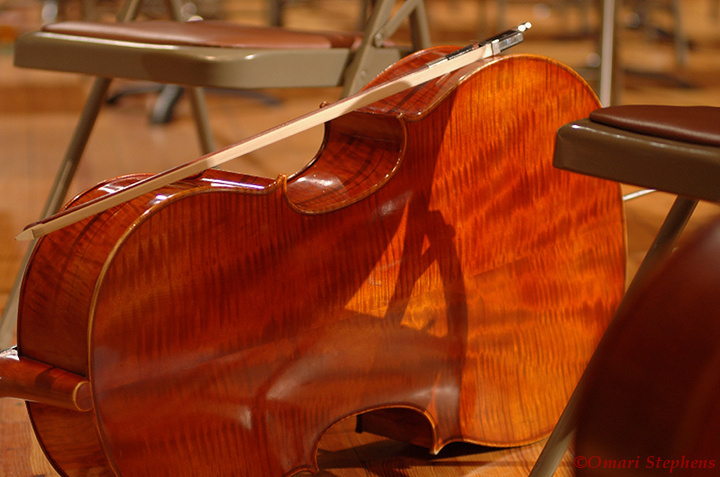 A bow lies atop a cello during the intermission of the MIT Symphony Orchestra's October, 2007 performance. Noel S. Lee appears startled for a moment as the MIT Symphony Orchestra reaches the final moments of its December, 2006 performance. The concert featured works by Russian composers Modest Mussorgsky, Dmitri Shostakovich, and Pyotr Tchaikovsky. 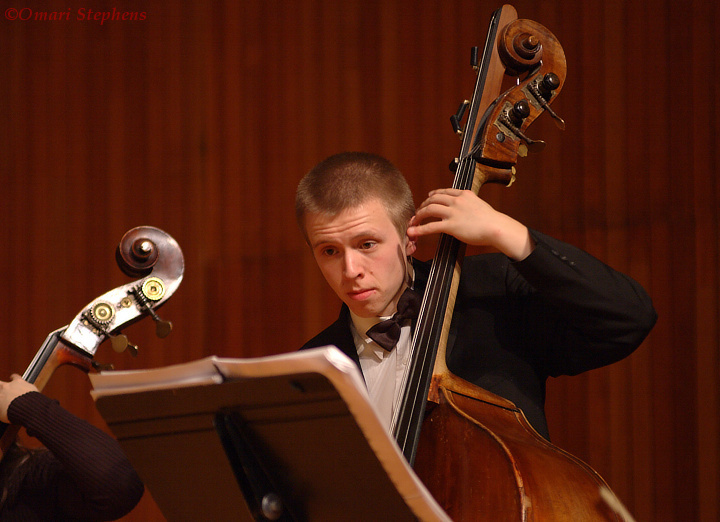 A student plays the double bass during an MIT Symphony Orchestra concert in December of 2006. The concert featured works by Russian composers Modest Mussorgsky, Dmitri Shostakovich, and Pyotr Tchaikovsky. 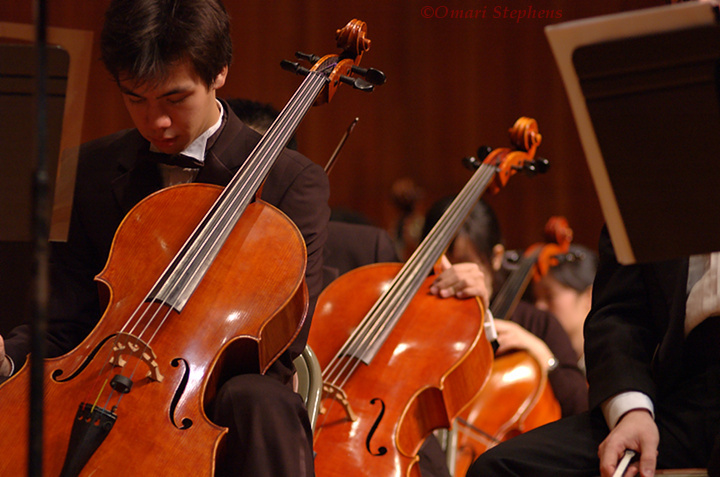 Cai P. GoGwilt, at the head of a row of cellos, contemplatively closes his eyes just before the start of Tchaikovsky's "Symphony No. 5." 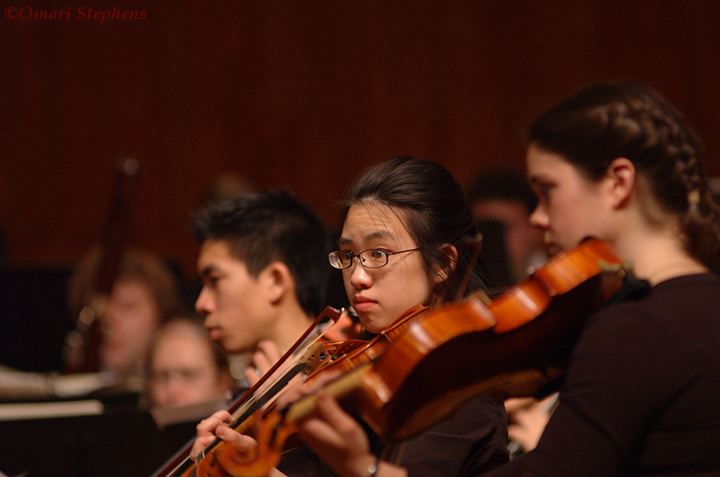 This December, 2006 concert by the MIT Symphony Orchestra featured works by Russian composers Modest Mussorgsky, Dmitri Shostakovich, and Pyotr Tchaikovsky. Former MIT Symphony Orchestra conductor Dante Anzolini jumps during the thunderous conclusion of Gustav Mahler's "Symphony No. 6." 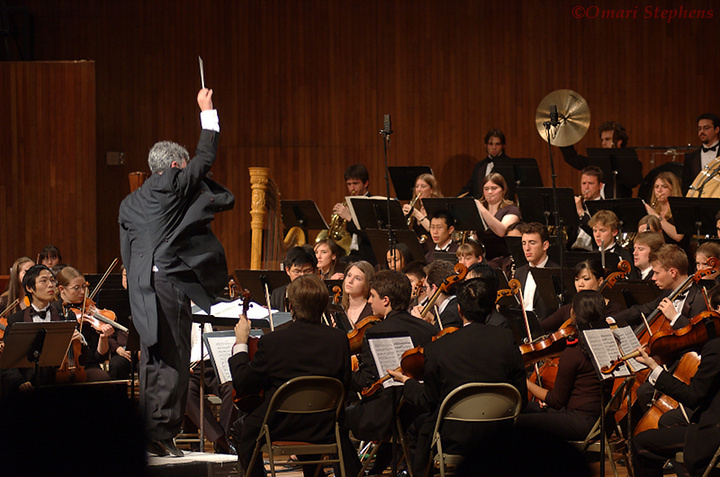 MITSO performed this concert in May of 2005 as part of a series of events to celebrate the inauguration of MIT President Susan Hockfield. MIT Symphony Orchestra conductor Adam K. Boyles quietly salutes the orchestra after their December, 2007 performance. “Life without music is unthinkable. Music without life is academic. you know, you should post more often (yea...I know you got a day job) cause your photos always make me smile, no matter how my day has been! You really do make photography into an art rather than just freezing time. I just love the last one especially since you can see two of the orchestra memebr's expressions. As for the last photo, yeah, that was a great moment.